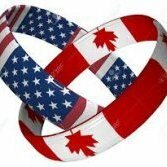 Canadians generally do not need a tourist visa to travel to the States since they can just use their Canadian passport (which is not the same as those who have a tourist visa issued by the US). What you have stamped is your Canadian passport---it's not a "visa" in the context of the question on the form. 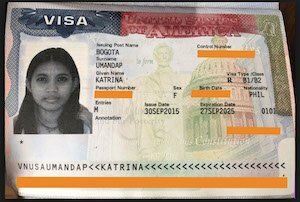 Canadians generally do not need a tourist visa to travel to the States since they can just use their Canadian passport (which is not the same as those who have a tourist visa issued by the US government). What you have stamped is your Canadian passport---it's not a "visa" in the context of the question on the form. Perfect, yes thank you that was what I was hoping but I was worried about technicalities. I forgot to specify but yes I am a Canadian citizen with a Canadian passport. I was wondering the same thing, also a Canadian w/ a Canadian passport here. 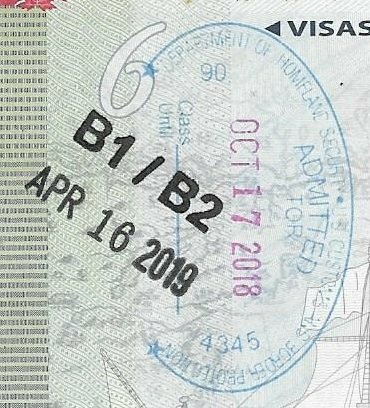 I was doubly confused since "B1/B2" was written on the stamp. I've always traveled by air through Pearson. Just a friendly reminder never to post photos of documents that reveal personal info such as full names, dates or case numbers. I know this is just a dummy image you included for reference, so we will leave it for now. I'm just adding a reminder in case new users find this thread and don't understand not to post personal info.